Our expert podiatrists for bunion treatment in Dallas, TX, offer next-level bunion treatment. Bunions are an unsightly foot deformity that can also be painful. If left untreated, bunions can lead to more serious foot issues. 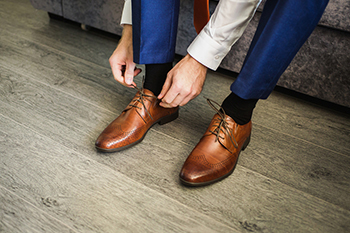 We know how to treat bunions conservatively with appropriate shoes, custom orthotics, padding therapy, or injection therapy to maximize your comfort – and we always consider bunion surgery a last option. Our Dallas bunion specialist will review all options with you to determine to the best course of treatment based on your individual needs. Call our Dallas or Plano podiatry office at 972.566.7474 or click here if you have any additional questions about our bunion treatment in Dallas, TX. or if you would like to schedule an appointment. Our podiatrists and staff are here to answer your questions and to help you put your best foot forward!